This is the first time I am joining the monthly Tea Time Treats blog roundup, hosted on alternating months by Lavender and Lovage followand What Kate Bakedfollow. This month’s host is Lavender and Lovage and the theme is Floral Flavors and Flowers. I’ll admit it. I started writing about food after seeing Julie and Julia. I never dared to dream that I’d have a food blog fairytale as the impossibly sweet Julie in the movie, but I understood the creative urge of learning to cook something seemingly difficult, and then chronicling the experience in words. We (foreign visitors, many of them young Asian women like myself) were shuttled into a tiny airless waiting room until it was time for class. Then we were rushed upstairs to the profession kitchen classroom (yes, a Le Cordon Bleu Kitchen) where we arranged ourselves at our stations. Each student had a digital scale, a mixing bowl, and a measuring cup, as well as a rubber spatula and few other gadgets. 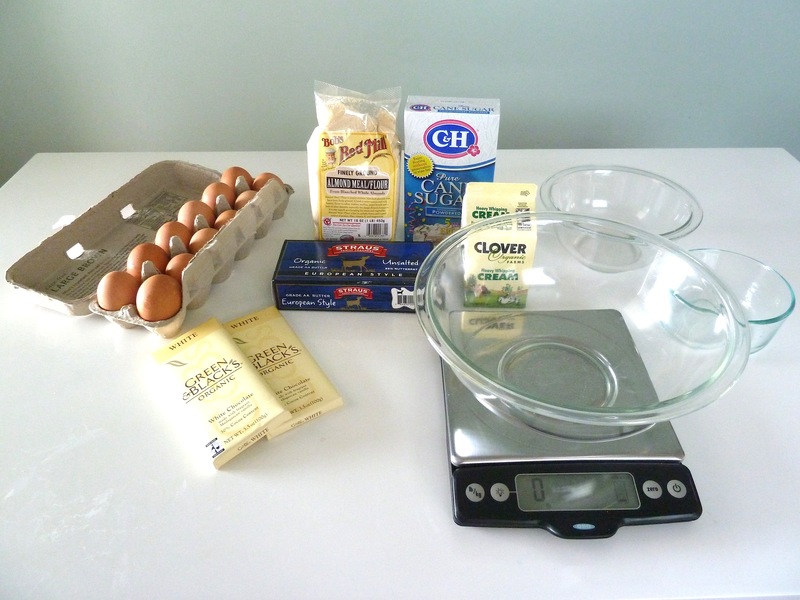 Large bags of ingredients including ground almonds, sugar, and egg whites stood at the ready. 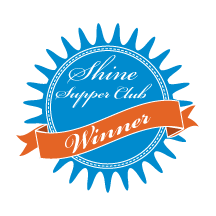 Our instructor, Chef Walter, was a smiling and genial older gentleman who spoke only French. He had two nervous looking assistant chefs ready to scurry around to deliver ingredients and correct the inevitable mistakes we would make. Rounding out the cast was a bilingual Briton who had the brash manner of a kind Gordon Ramsay and the gall to make editorial comments when his job was to simply translate what Chef Walter told us. We started by sizing each other up and paying rapt attention, but quickly made a big faux pas. Instead of listening to Chef Walter’s complete set of instructions and then following them, a few students began to work as he spoke, and somehow we all began to mix and measure. In a minute, Chef Walter stopped, turned scarlet, and stopped talking. Mini Gordon Ramsay scolded us and instructed us to “never do that again.” The assistants scurried around faster to correct some major mistakes some of us had made because we had not listened to the chef. Momentarily, class resumed and we paid better attention. In baking, precision is everything and we certainly did not want to waste this prized opportunity to make macarons in the classic fashion. Interestingly, we were provided not with a recipe but a list of ingredients. There were not even instructions of how hot the oven should be nor how long they should be baked. (The explanation for this was that making macarons depends on many local environmental variables, including humidity, type of oven, etc.) . So it was up to us to write down the method as we learned and stirred. There were some failures and some surprisingly perfect results. I was somewhere in between. While my biscuits were neither the flat “catastrophes” my chagrined neighbor produced nor the perfectly symmetric rounds another student created, Chef told me my ganache was parfait. He said it had something to do with my hands (I think). 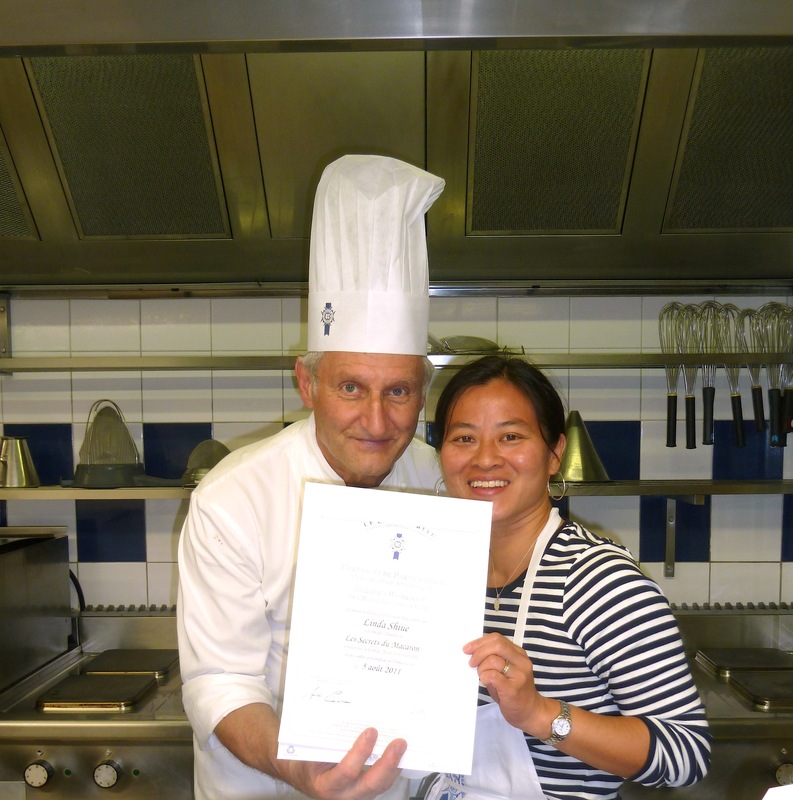 We were all relieved and overjoyed when we were presented with our certificates of course completion, signed by the Chef. 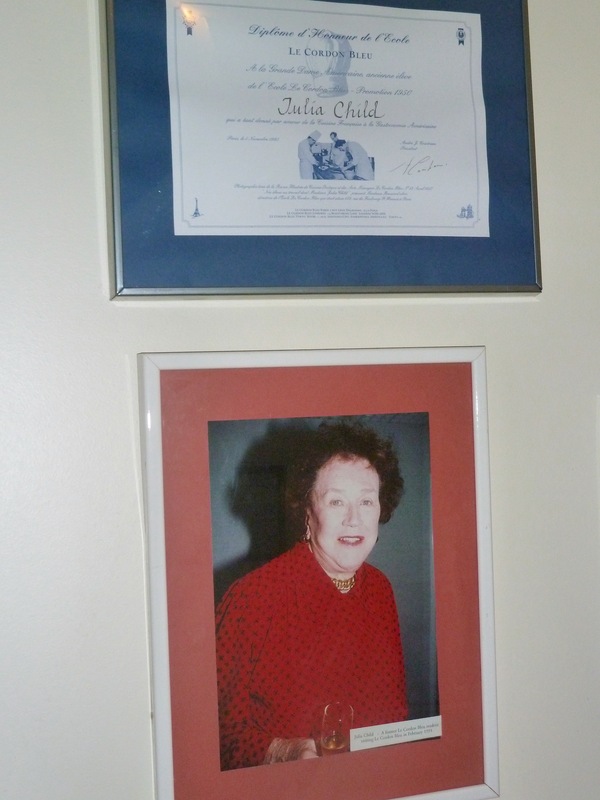 On my way down the stairs, I took a moment to photograph the framed diploma that Julia Child had been given, hanging next to her photograph. I had to brave a torrential downpour to get to the crowded Métro that would take me back to my family, eagerly awaiting my return and les macarons. 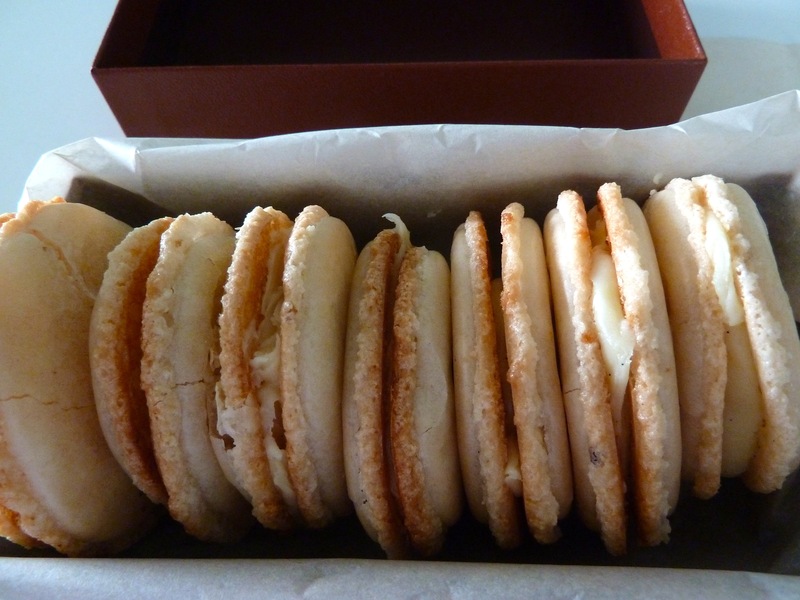 I guarded my boxed dozens of macarons that I had made myself carefully, like a carton of eggs. When I unveiled them, I wasn’t sure how the eau de vie framboise that scented my vanilla ganache would be received. 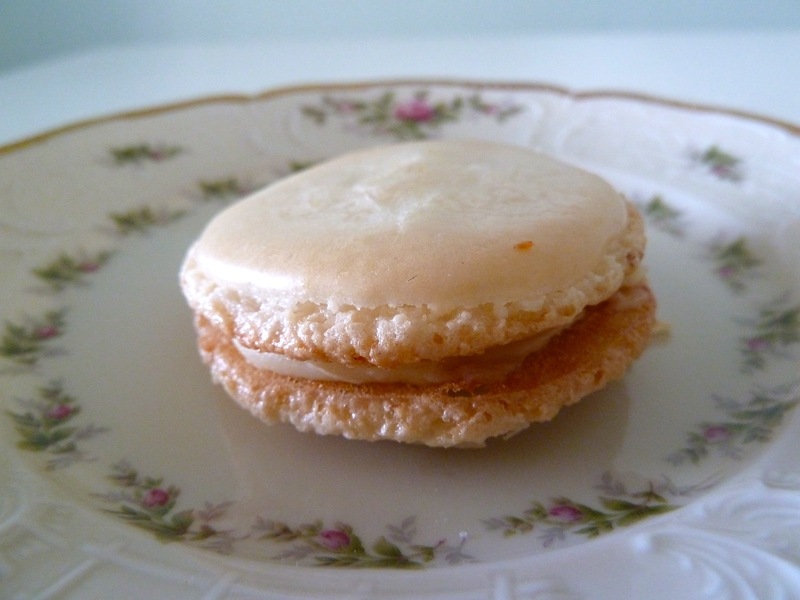 My daughters were wide-eyed: “You made those?” Then we each took a bite, and they said, “These are the best macarons in the world!” A bit of hyperbole from children I bore, but I was pleased. It was a sweet ending to my own Linda and Julia moment. It took me a few months back home before I dared to recreate the recipe in my home kitchen. First, I needed to procure a digital kitchen scale. I also needed to find the right ingredients. Most importantly, I needed to shore up the confidence that I could actually do this without live instruction and the guidance of teaching assistants. I finally was motivated by my husband’s birthday. Since raspberries were no longer in season and I did not have the same raspberry liqueur, I decided to make a variation with orange flower water instead. They were spectactular. I am already thinking of variations for my next batch. 1. Mix together powdered sugar and almond flour. 2. In a separate bowl, whisk egg whites with cream of tartar until soft peaks form, then whisk in granulated sugar. 3. Add sugar/flour mixture in 3 parts to the egg whites, folding in with a rubber spatula. 4. Use a rubber scraper to complete mixing, rotating bowl as you scrape the batter in from the edges, about 20 times. This is a process called macaronnage, and thickens the batter. 5. Transfer batter to a pastry bag with a 10mm tip (or put into a gallon sized Ziploc bag and cut off one corner). Pipe onto a parchment lined baking sheet into 1″ diameter circles. 6. 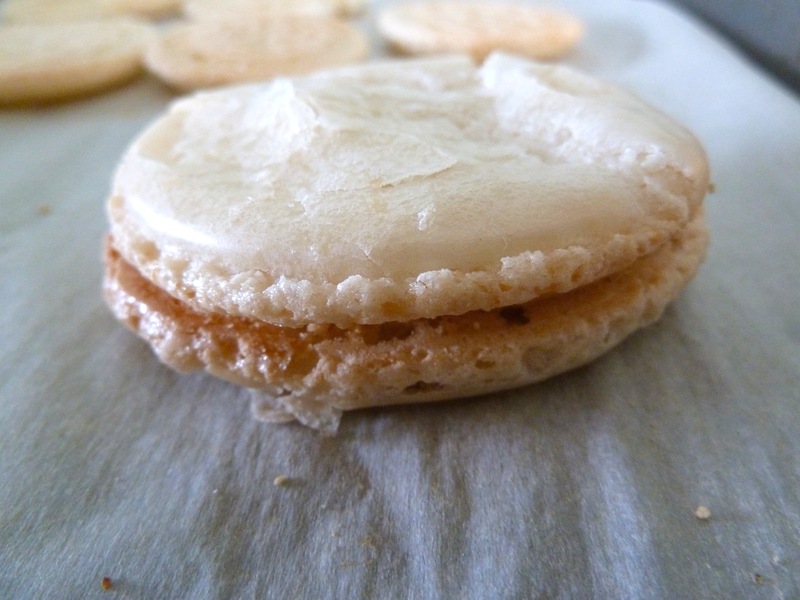 Allow uncooked macarons to rest while you prepare the ganache. They are ready to bake when they are slightly dry to touch. 7. Prepare the ganache: warm cream in a saucepan, then pour into a bowl into which you have placed the white chocolate in large pieces. Whisk until fully melted and emulsified, then add in butter, then orange flower water extract. Allow to cool before placing into a pastry bag. 8. 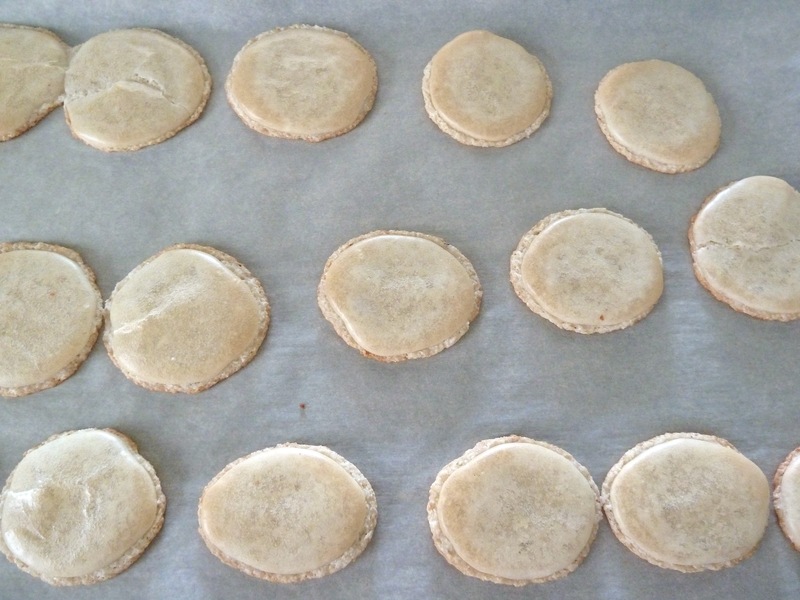 While ganache is cooling, bake the macarons at 325 degrees F until slightly risen but before they brown, 10 to 15 minutes. Allow to cool completely on a baking rack. 9. Pipe cooled ganache onto the flat side of a macaron, then sandwich with another macaron. This is the final post about my French-themed trip last summer. In previous posts, I wrote about bats in the sky and on the plate, the market in the capital city, Victoria, the rare flora and fauna of the Seychelles, the remote island of La Digue, and learning to cook Seychellois food at the Four Seasons. 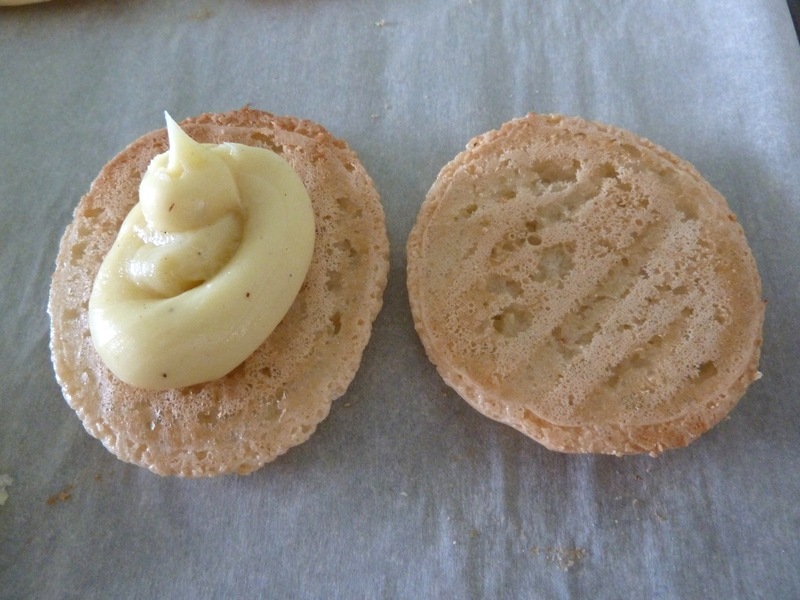 In earlier posts, we visited La Réunion, the French island colony in the Indian Ocean, where I tried French-influenced Indian cuisine, suggested an AOC for Chouchou de Cirque de Salazie, and visited the marché in St. Pierre, where we had caramelized banana jam. 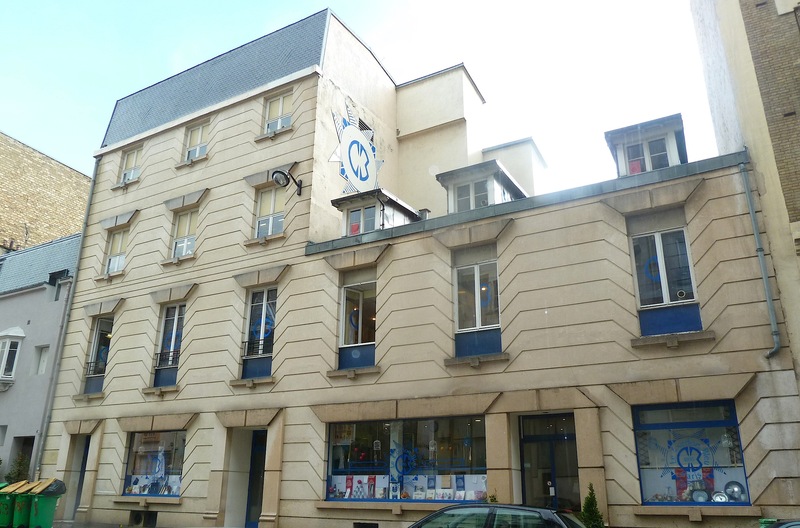 In case you missed them, read my earlier posts on how I became such a Francophile, come along on a Parisian food tour inspired by David Lebovitz, see me try out his recipe for pain d’épices au chocolat, read my homage to lovely Montmartre, and see the Space Invaders in Paris and the street art of Belleville. Thanks Karen! Great theme for Tea Time Treats this month!